A growing collection of vintage bug images of scorpions. 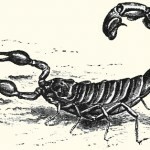 These public domain scorpion images are free to download and use in your arts and crafts projects. Scorpions are actually members of the arachnid family but because they are so distinctive, I thought they deserved their own category. If you wish to see our public domain spider pictures. 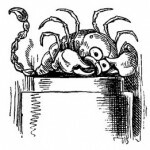 Vintage 1910 scorpion drawing from the Encyclopedia Britannica. 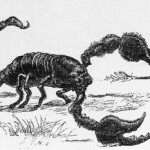 Vintage desert scorpion drawing from 1881. It was included in a 1910 encyclopedia. 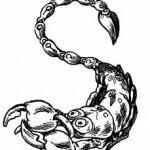 Vintage block print style drawing of a scorpion. Black and white scorpion clip art. Cute vintage, black and white scorpion drawing. 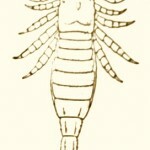 Vintage drawing of a scorpion.